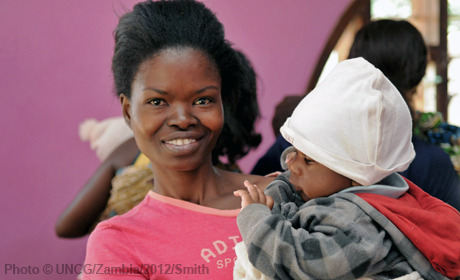 Zambia has made notable progress in improving maternal health in the last decade. However, progress is insufficient to achieve the target for the maternal health Millennium Development Goal. With a low contraceptive prevalence rate and limited skilled birth attendance, there remains a critical need to accelerate the implementation of high impact maternal health interventions. UNFPA supports programmes for family planning, emergency obstetric and neonatal care, midwifery, HIV prevention, and adolescent sexual and reproductive health at national and subnational levels.